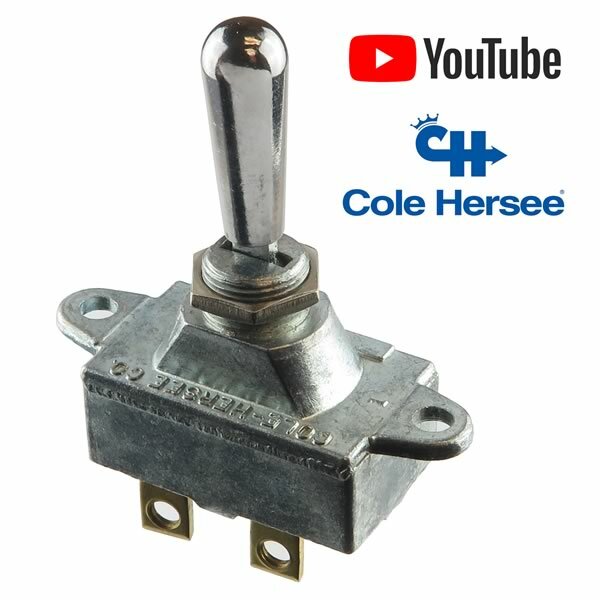 Super heavy duty Cole Hersee SPDT toggle switch has 2 positions and is rated 30Amp at 6V to 12VDC or 15Amp at 24V to 36VDC. Has heavy duty large chrome bat. These mount in a 0.5" panel hole with supplied nut. Has 3 terminals. These are found on boats, farm equipment, miscellaneous 12VDC systems. New - Retails for up to $17 each.